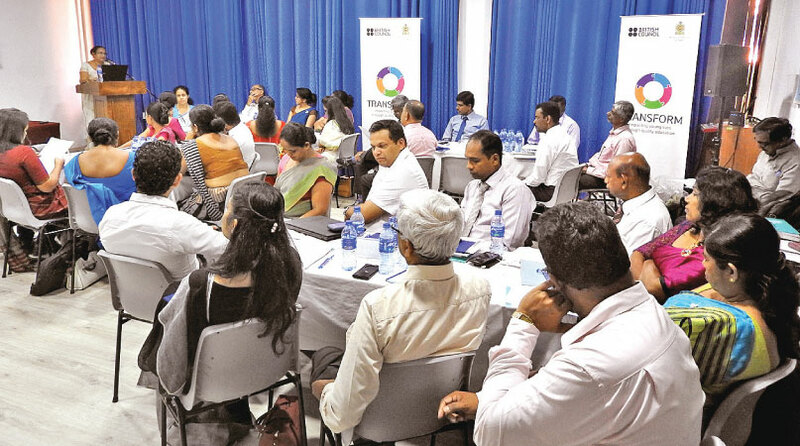 The British Council of Sri Lanka announced that it continues to strengthen its longstanding partnership with the government in education and skills development. In 2017, TRANSFORM began delivering on the results area of professionalization under the Improving Teacher Education in Sri Lanka project in collaboration with the Ministry of Education. The programme has now turned its focus on the results area of Transitions, which explores the move from education to employment. British Council has been invited by the National Education Commission which is the policy making body in all aspects of education in Sri Lanka to collaborate on the reappraisal of the existing Career Guidance policy. At a meeting convened by NEC with the support of the British Council on January 24, key stakeholders were brought together from a wider range of government departments, education providers and employers’ representatives to discuss current practices in the implementation of the career guidance policy, its challenges and possible ways forward. The participants represented the major stakeholders in the field of career guidance -National Career Guidance and Counseling Centre, Ministry of Education, Tertiary and Vocational Education Commission, National Institute of Education, Department of Manpower and Employment, National Youth Services Council, National Apprentice and Industrial Authority, National Youth Corps, Sri Lanka Foundation, Sri Jayawardenapura University, University of Colombo, The Organization of Professional Associations of Sri Lanka, Sri Lanka Institute of Career Guidance, Assistant Directors of Education, education advisors, principals and teachers of schools.